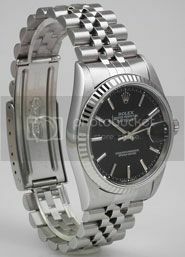 TimeZone : Rolex - Modern » Anyone have the new DJ 41? I've yet to see these in person yet, but have been thinking: a nice compromise between the older style DJ and the new DD 40. ...and had a chance to compare it directly to the DJII. The new 41 has a thinner case and I think the proportions on the bezel are better than the DJII. I hope they release it in steel with the jubilee next year! Really want this configuration! Something like this but 41mm. 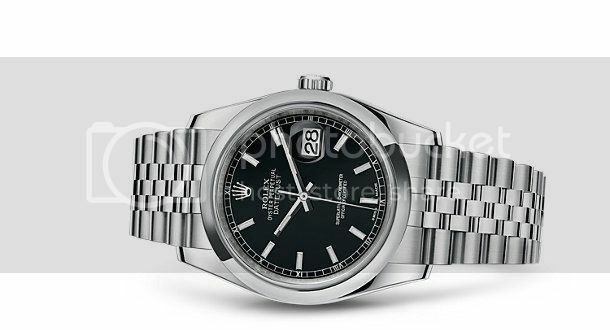 Or with the white gold bezel. (mainly the rolesor and jubilee) but when I saw the dj41 with the champagne dial, I really loved it. The tt rose with smooth bezel, oyster clasp and Sunburst stick dial is great. I love the new movement. Next Topic: Daytona being discontinued?